In January 2017 specialists of Trimetari Consulting LLC handed over to customers an as-built 3D model of Diamond Park – the largest aquapark of Azerbaijan, which is under construction. At the time of the as-built survey, the construction of the concrete monolith was completed, the equipment and part of the communications were installed. Laser scanning was required to analyze the deviations of the actual location of the constructed concrete structures from the design position. Knowledge of the exact dimensions will allow designers to create more qualitatively the load-bearing metal structures of the glass facade and roof. The work was performed by laser scanners Stonex X300, FARO Focus3D. 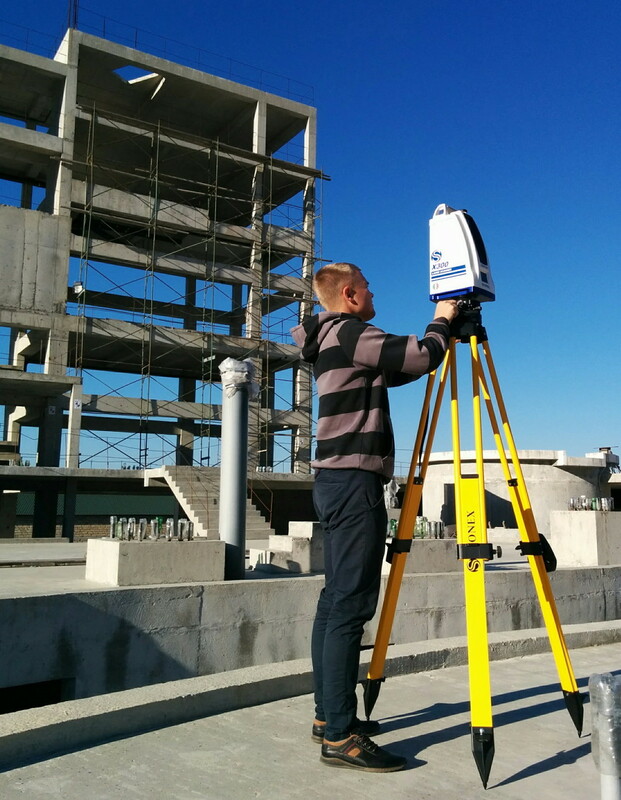 Leica FlexLine total station was used to link the scan data to the construction coordinate system and the control measurements. All field work in Azerbaijan was completed in two days, further processing of laser scanning data was carried out at the office, namely the construction of an as-built 3D model on point cloud. 3D-model of concrete structures is a geometric description of the surfaces of walls, ceilings, columns, stairs, other structural elements. The 3D model is based on laser scanning data, so it corresponds to the original with high accuracy. Depending on the configuration and size of objects, laser scanner model, and other factors, the error of the 3D model can be from 1 to 20 mm. In this project, the accuracy of the executive 3D model was 6 mm, which is included in the tolerances for the further design of the bearing metal structures of the facade and roof, issued by the customer. 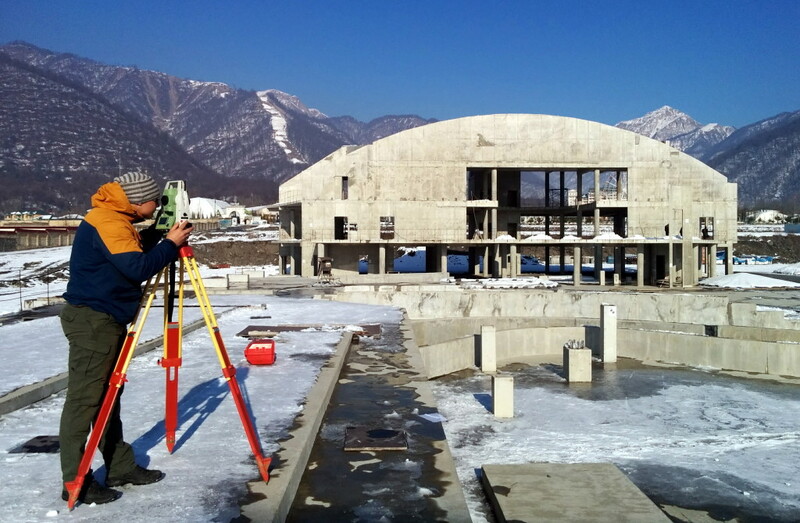 The company Trimetari Consulting LLC performs laser scanning in Russia, Azerbaijan, the countries of the former USSR and far abroad. As-built surveying by laser scanning and geodetic control of construction is an essential direction in the work of the company. Results of as-built works are used to analyze the quantity and quality of construction work, to resolve disputes with contractors, to update existing 3D models and drawings, for further design.